Will help make your celebrations Sizzle with Excitement! Boston magician Bonaparté performed at our anniversary party and was really impressive. Both kids and adults absolutely loved his amazing act. He had the crowd laughing and cheering! 5 star entertainment!!! We highly recommend him for anyone looking to make their event truly special. 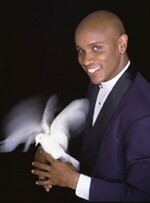 Boston magician Bonaparté is highly regarded by leading professionals in the entertainment industry. 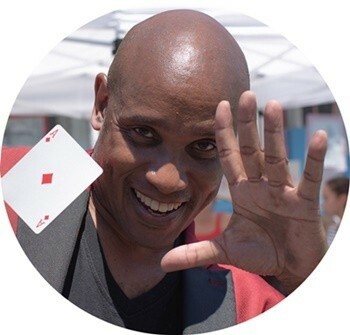 From coast to coast, his dazzling, interactive style of Magic entertainment has captured the hearts and minds the of thousands of children and adults. Bonaparté astounds and amazes audiences of all ages with his unique blend of Magic, Comedy, Mind Reading, Balloon Sculpture and much more. 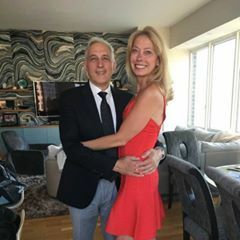 With over 25 years experience as a full-time professional magician entertaining for Holiday Parties, schools, birthday parties, Christenings, Communions, Bar and Bat Mitzvah's, corporate events, etc., and many more. Bonaparté’s engaging style and ability to add a ‘Touch of Sophisticated Silliness’ to the most elegant or casual of celebrations has made him not only a Boston magician favorite among Corporate Meeting & Event Planners, but throughout New England as well. Need More Proof? Click here to check out additional performance videos. Need Entertainment for your Summer Camp? Interested in Birthday Magic for Kids or Adults? Want to WOW them at your next Corporate Event? Bonaparté has Amazing Programs for Everyone! Copyright text 2019 by Bonaparte Magic.